Do you consider chocolate a food group? Are you a Fudgy Brownies lover? Have you been searching for a great recipe for Chocolate Fudge Brownies? We've searched, baked and tested many chocolate brownies looking for the best Fudge Brownies to call our own and share with brownies fans everywhere. These easy brownie recipes are a chocolate lover's dream, the ultimate chocolate comfort food. Since one recipe didn't seem like enough, we've got two fudge brownie recipes from which to choose. 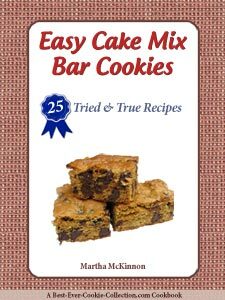 The first Fudgy Brownies Recipe is adapted from a recipe for brownies from the Foster's Market Cookbook by Sara Foster, owner of the wonderful Foster's Market specialty food shop, deli, bakery, cafe in Durham/Chapel Hill, North Carolina. If you want a large (9x13-inch pan) of chocolate chip fudge brownies, this is the recipe for you. The second recipe for Chocolate Fudge Brownies is extra fudgy for those serious fudge brownies fanatics out there. It makes an 8-inch pan of over-the-top fudge brownies that can only be considered pure chocolate brownie indulgence. Try one, try both, and spread chocolate brownie joy with friends and family. Since chocolate brownies have so few ingredients it's important to use only the best chocolate. Experiment with the types and kinds of chocolate you use in your chocolate brownie recipes to determine your favorites. Some bakers favor the long standing supermarket brand - Bakers. Others prefer premium imported and domestic chocolate for baking. It's a matter of personal taste so choose the chocolate you favor and savor the delicious brownies you create. If you are a brownie purist and don't like nuts, simply leave them out. Lightly grease a 9x13-inch baking pan with cooking spray and set aside. Alternatively, line the pan with foil that extends a bit beyond the sides of the pan and mist with cooking spray. This will allow you to remove the fudge brownies in one whole slab for more even cutting if you are so inclined. In a large bowl, sift flour, cocoa powder and salt together, and stir to combine. Set bowl aside. Cream eggs, sugar, butter, vanilla, and coffee together with an electric mixer. Stir the flour mixture into the butter mixture until all the dry ingredients are moist and blended. Fold in the chocolate chips, and nuts if using. Spread the fudge brownies batter evenly into the prepared pan. Bake for 25 to 35 minutes until the brownies spring back to the touch and a wooden toothpick inserted into the center comes out with a moist crumb. Cool brownies in the pan on a wire rack for 30 to 40 minutes. 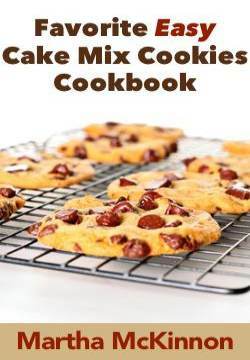 Substitute chocolate chips with mint chocolate chips, white chocolate chips, or peanut butter chips. You can also replace the walnuts with pecans or macadamia nuts. This brownies recipe is adapted from The Foster's Market Cookbook: Favorite Recipes for Morning, Noon, and Night by Sara Foster. Not a nut fan? Don't include them in your fudgy brownies. This is your creation after all! Lightly grease an 8-inch square baking pan with cooking spray and set aside. Alternatively, line the pan with foil that extends a bit beyond the sides of the pan and mist with cooking spray. This will allow you to remove the extra fudgy brownies in one whole slab for more even cutting. Melt semi-sweet chocolate, unsweetened chocolate, and butter in a double boiler or in a microwave using short 15 second bursts of high power, and then set aside for 5 minutes to cool. Add sugar to a medium-size mixing bowl along with the melted chocolate mixture. Scrape bowl with a rubber spatula and beat a few more seconds until silky smooth. Add flour with mixer on low speed, or by hand, until just combined. Stir in 1/2 nuts if desired. Spread the fudgy brownies batter evenly into the prepared pan. If desired, sprinkle top with 2 tablespoons chopped walnuts. 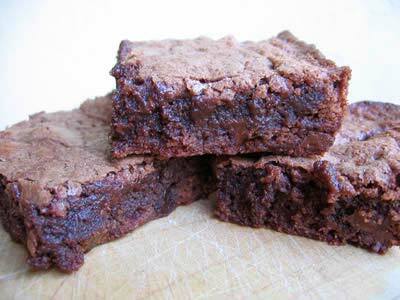 Bake brownies for about 25 minutes or until a toothpick inserted into the center comes out with moist crumbs. Remove the pan of brownies from the oven and cool for one hour before cutting into desired size and shape. This extra fudgy brownies recipe is adapted from Rosie's Bakery Baking Book by Judy Rosenburg, owner of the award winning Rosie's Bakery in Boston. The perfect brownie pan for brownie lovers and chewy edge lovers everywhere! It's expensive but worth it if you really love to bake brownies. 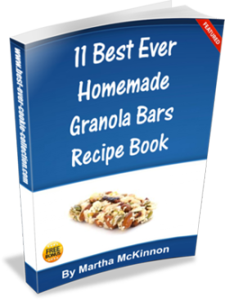 You can use it to bake quick breads, and bar cookies too!! This nonstick edge brownie pan is a high quality nonstick pan constructed of heavy cast aluminum, so with proper care it will endure for years. How many flimsy baking pans have you sent to the trash in your lifetime? It even comes with a custom nylon spatula for perfect cutting. The one caveat to this pan is that it takes a bit more effort (1-2) minutes to fill and spread the batter into the pan's channels but we think its totally worth a couple of extra minutes for delicious evenly cooked brownies with lots of edges.